Batteries ship from various warehouses and usually deliver within 5-7 business days. 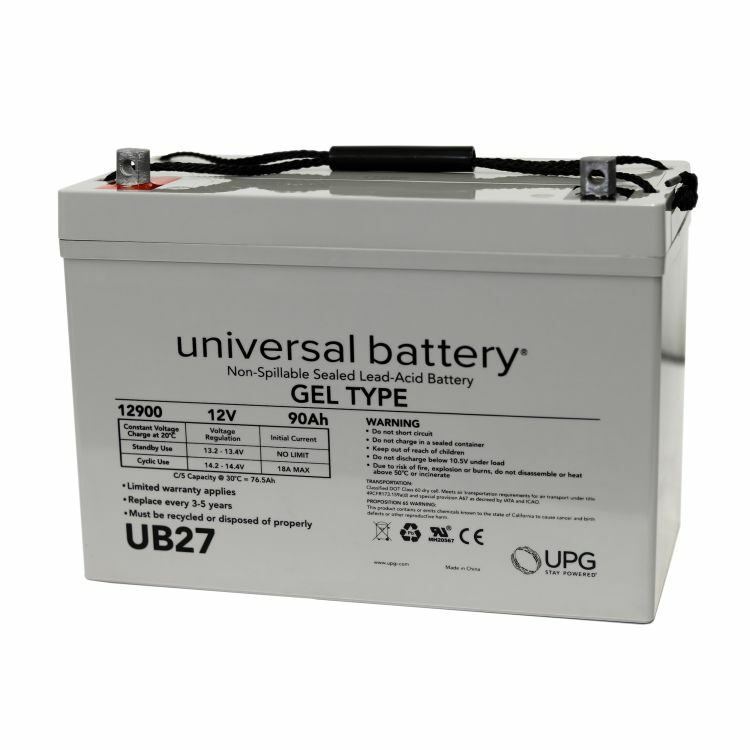 The Universal UB27-47608 Gel cell battery is made by UPG (Universal Power Group) in their state of the art facility. This battery is a sealed (Non-Spillable) requires no addition of water during the life of the battery. The UB27-47608 battery is TRUE DEEP CYCLE can be mounted in any position, requires no maintenance and may be transported by Air or Ground without any special handling regulations. When a Gel Cell battery is charged no hazardous fumes escape the battery case, gases are processed within the battery itself. Typically Gel Cell batteries DO REQUIRE a special battery charger as charge requirements is somewhat different than AGM, Wet Cell or other types of Maintenance Free batteries. If you are in unsure about the charger you need please contact one of our technical advisors. Do you own the UB27-47608? Please, tell us what you think about it. It helps us provide you with better products. Please note that it may take up to 72 hours for your review to appear.